Whether you are remodeling your home or simply upgrading appliances, moving your old stove is a difficult task. It is large, clumsy and weighs a minimum of 130 to 150 pounds. If you are dealing with a double oven, the weight can be twice that much. 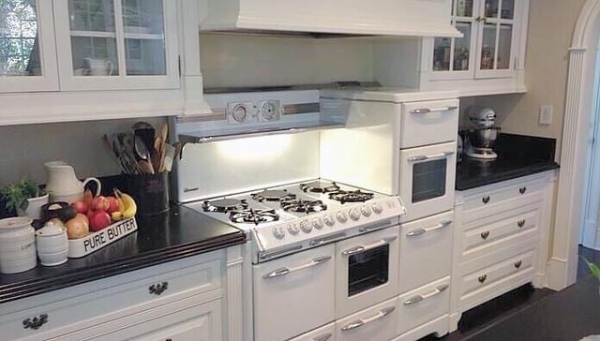 Even if you manage to remove the stove from your kitchen without marking up the walls, once it is outside, you are still faced with having to dispose of it. • Sell it. This is a good choice if the stove is still in good working order, although you may be stuck with it for a while until you find a buyer. Websites like Craigslist make selling easy, especially if you take large, clear photos and provide a detailed description of the stove. You can also consider selling the stove to a used appliance dealer. You will likely be responsible for delivering the appliance unless the dealer is willing to pick it up. • Donate it. Many charitable organizations welcome working appliances as donations. Schools, daycare centers, missions and shelters are always in need of good working stoves. Thrift stores may also take your stove, but be sure to call ahead and make sure that this is the case. Stoves are most often replaced because they stop working. If you have decided that buying a new one is the least costly option, you probably just want to take the old one to a landfill and be done with it. Depending on where you live, the law may not allow this. Currently, 22 states forbid old appliances to be placed in landfills, including Pennsylvania, New York, Massachusetts, Florida, Illinois and California. If you are unable to dispose of your old stove any other way, you can recycle it. Appliances are generally made out of steel and other types of metal that are perfect for scrap-metal recycling. Over 75 percent of American appliances are made of steel, and 10 percent of all recycled steel comes from appliances. When metal is recycled, it reduces the mining and extraction process that is required to manufacture new appliances. Recycling your old stove is not difficult. You can hire an experienced company to come and pick up the appliance and dispose of it properly. The company will ensure that the appliance is dismantled, and the scrap metal is safely separated from other hazardous parts, if applicable. This way, your old stove can be turned into something new, and you will not have to worry about breaking the law or hauling the stove around. That old stove may still be full of possibilities. If you are not able to take it to a landfill or donate it, consider having it picked up for recycling. You will save yourself the work of transporting it and help the environment at the same time. This post is written by American Junk. If you’re moving, or just need junk hauled, take a look over at American Junk. American Junk is an all-inclusive junk removal service focusing on both residential and commercial locations.